Don’t sweat your upcoming interview with the admissions committee at your dream school. Proper planning will help you wow them with your talent and personality. Likely questions are fairly predictable, but devote plenty of time to self-reflection, reviewing your application essays and researching the school. In particular, be ready to rattle off precise reasons for applying to that particular college or university. Never give a generic answer like saying you want to attend a school nearby that offers financial aid. 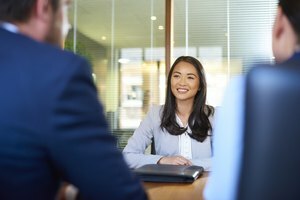 Questions asked in admissions interviews are similar to those used by hiring managers. In both situations, the purpose is to glean new information about the applicant and how that person would add value to the organization. Your aim is to exude confidence, energy and motivation. Even before formal questioning starts, look for an opening to mention how you see yourself fitting in and contributing to campus life. When introducing yourself, express appreciation for the interview and briefly state that you are excited at the possibility of studying on a high-tech campus that shares your commitment to renewable energy and sustainability, for instance. Listen to each question carefully before blurting out an answer. Go into detail but stop short of rambling, repeating yourself or wasting time on insignificant details. Make eye contact with every person in the room. Smile and look happy to be there even if you feel awkward in a stuffy interview room. Be mindful of your body language: Do not giggle, roll your eyes, chew gum, tap your foot, cross your arms, look out the window or glance at your watch. 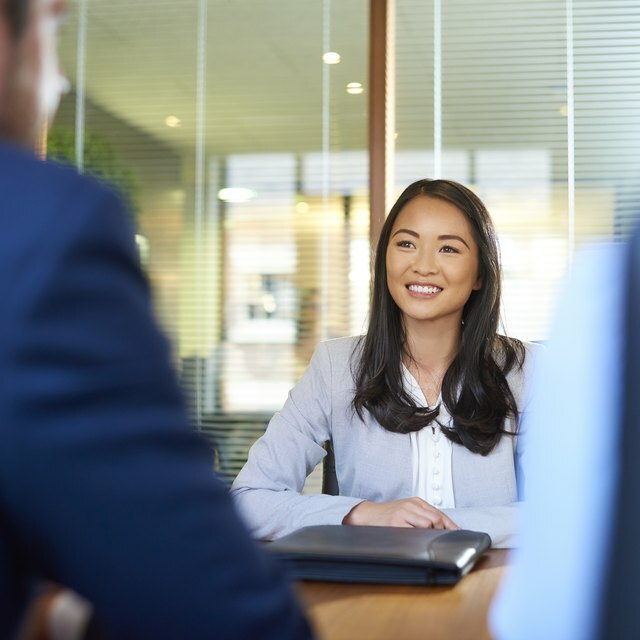 Learning how to answer interview questions for college admissions will give you transferable interviewing skills that will come in handy when competing for scholarships, internships and jobs. 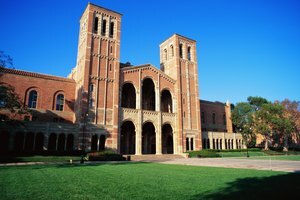 Admissions committees will ask some version of why you want to attend their school over thousands of other fine institutions of higher learning in the U.S. This question can catch you off guard if you are not expecting it. You can stand out by giving an answer that reflects your knowledge of the school and your appreciation of its academic programs. Instead of saying you like the beautiful seaside campus, indicate that you are eager to study under professors at that school who have published extensively in the field of marine science. You may appear shallow if you say you’re hoping to get into a prestigious school. Focus more on the school’s commitment to scholarship, small class sizes, research opportunities and diverse student body, for instance. If the school is not your first choice, keep that to yourself. Most students end up happy and content wherever they enroll. Opportunities abound in any college setting. Don’t fall into the trap of answering this question in a defensive tone. Being asked why you are worthy of consideration allows you to trumpet your many accomplishments, impeccable character and high potential. Cheerfully, share success stories of awards, honors and special achievements. Also mention how you made a positive difference at the school you last attended by starting a robotics club, playing the lead in school musicals or taking first place at state. Schools that emphasize global citizenship and social justice may be impressed with travel experiences, volunteering at the soup kitchen or planning cultural celebrations. Your reasons must be honest, sincere and supported by examples. A list of adjectives alone does not offer compelling evidence that you actually are hardworking, creative or determined, as claimed. Expect to be asked behavioral interview questions, which assess how well you have handled difficult challenges in the past. For example, you may be asked to describe a time that you were in a leadership role and made an unpopular decision because it was the right thing to do. In response, you could talk about refereeing a youth soccer tournament, for instance, and standing by your decision on a controversial call. Analyze the likely purpose of the question before formulating a response. Typically, these type of questions operate on the assumption that past performance predicts future behavior. Use the popular STAR (situation, task, action, results) method to ace behavioral interview questions. Describe a complicated situation that you faced, the tasks you completed, the actions you took and the results of your effort. Your goal is to have several examples of situations you successfully handled, like acting ethically, resolving conflicts, motivating others, tackling a problem or leading a team. For example, the STAR method can help you figure out how to answer interview questions about prioritizing responsibilities. If asked to give an example of how you set priorities, you could respond by saying something like, “I found myself in a difficult situation when I joined too many organizations freshman year of high school. I fell behind on all my assignments and felt overwhelmed. To solve the problem, I developed a study schedule, found a tutor and quit everything except drama club. As a result, I made the honor roll and learned an important lesson about setting priorities." You will likely be asked to talk about your best qualities. Your answer will give an indication of your level of poise and self-awareness. In response to this question, students often identify their natural gifts, acquired skills, high intelligence, extraordinary talents and multiple language-speaking abilities. Your answer should also touch upon your admirable personal qualities such as kindness, compassion, empathy and adaptability. You may be asked a follow-up question related to your inner strength and your ability to overcome obstacles. Share a time that you persevered despite barriers to success. Provide real-life examples that show you are not the type of person who gives up easily. Admissions committees are especially interested in hearing stories of resilience from students who triumphed despite adversity, poverty or other trying life circumstances. Admissions committees recognize that students from diverse backgrounds enrich the campus culture and add vitality. Knowing that this uncomfortable question is standard in college admissions interviews can help you stay calm when admitting that you are young, human and a work in progress. Be ready to acknowledge areas that could use improvement. For example, if you are overly cautious, you may want to try new things. If you are outgoing and talkative, your listening skills may need more attention. Briefly identify an area that could be considered a weakness and outline steps you are taking to better yourself. Admissions committees are more likely to weed you out if you can’t think of any weaknesses or limitations. Even if you are a bona-fide genius, come up with something that you still need to perfect. Otherwise, you could be written off as arrogant or narcissistic. In addition to asking you, "What are your greatest strengths and weaknesses?" the admissions committee may want to know how you react to unforeseen problems or disappointments. That may seem like an odd question, but it makes sense when you consider that college is hard work, and courses can be quite rigorous. Students must be able to handle a heavy workload and never-ending deadlines. A support network can help students stay positive and clear-headed. Admissions interview questions delve into your preferences for a college major and career. You will be asked why you are passionate about your chosen field and how a degree from that school complements your long-range goals. Ideally, you should be able to articulate how your academic plans connect to your desire to help others and make a difference in society. You should also mention any interest in graduate school. If you have no idea what major best suits you, state that you have many interests and want to explore your options by taking science, math and liberal arts classes. 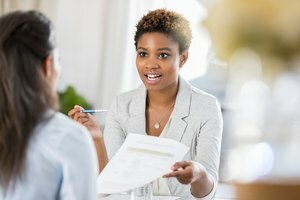 The intent of interview questions about academic plans is to discern your level of commitment to finishing a college degree. Students who are ambivalent about college are more likely to quit than students who know they want to be in college at this stage of their life. Along with standard screening questions, you may be asked about such things as your favorite author, the last novel you read for fun, teachers who inspired you, role models, heroes and even your opinions on current events. Approach unusual interview questions as an opportunity to demonstrate individuality, originality and excellent communication skills. Nonacademic questions can lighten the mood and put students more at ease. At the conclusion of your admissions interview, you may be given a chance to ask questions of the committee. Come prepared with a couple of questions that show you bothered to take the time to read the school's website. Questions about unclear requirements of the academic major you are considering and questions about research activities are appropriate choices. Avoid asking questions that could easily be answered by doing a basic web search, like current student enrollment. You can also ask about student organizations and university-sponsored trips. Stop by the career center on campus for statistics on the number of graduates in each major and the percentage currently employed in a related field. Watch your email and log in to the school's portal periodically for updates on the status of your application during the processing period. Mary, Dr.. "How to Answer Interview Questions." Synonym, https://classroom.synonym.com/how-to-answer-interview-questions-13714930.html. 26 September 2018.